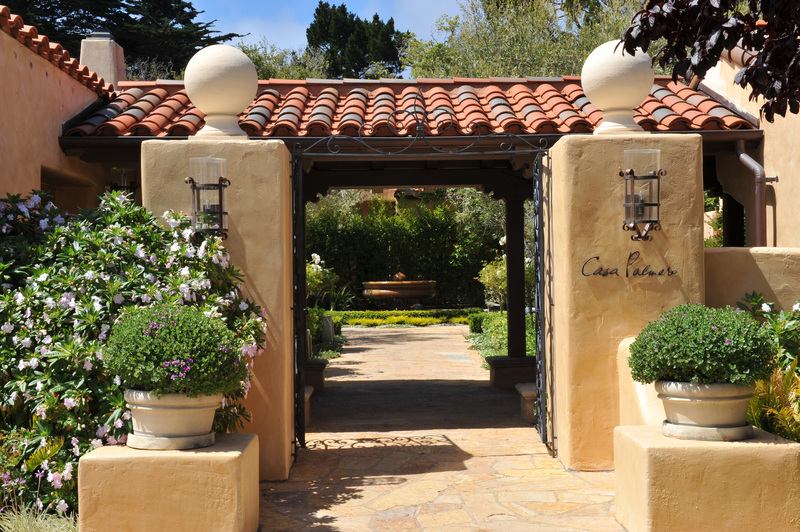 Quintessential California engages with romantic Tuscany at Pebble Beach Resorts’ Casa Palmero – a secluded, all-suite, oasis-like villa just steps from the world-renowned resort’s luxury spa. Private dip pools, wood-burning fireplaces, and oversized soaking tubs are among the amenities in each suite, and Casa Palmero guests enjoy the services of a personal coordinator to customize every aspect of their stay, whether they crave a wine tasting at Stave Wine Cellar, a Tuscan feast for two at Pèppoli, or a Valentine’s couples-only private guided beach trail horseback ride, complete with sparkling cider and chocolate-covered strawberries. Priced at $250 per person, the one-hour-and-45-minute ride is offered Feb. 13-18 only. (Spots are limited and reservations required). Another top priority for a twosome: a Romantic Getaway spa package that combines a blissful Cloud Nineteen Wrap in the Flotation Wrap Suite and a 50-minute Couples Massage. The spa package is priced at $625 for two hours. Casa Palmero rates begin at $1,000 per night; book online or call 800-877-0597. Winter brings its own cozy charms to the Emerald Isle, when southern Ireland’s most famous attractions can be enjoyed without the high-season crowds, along with lively pubs, shops and postcard-perfect scenery. 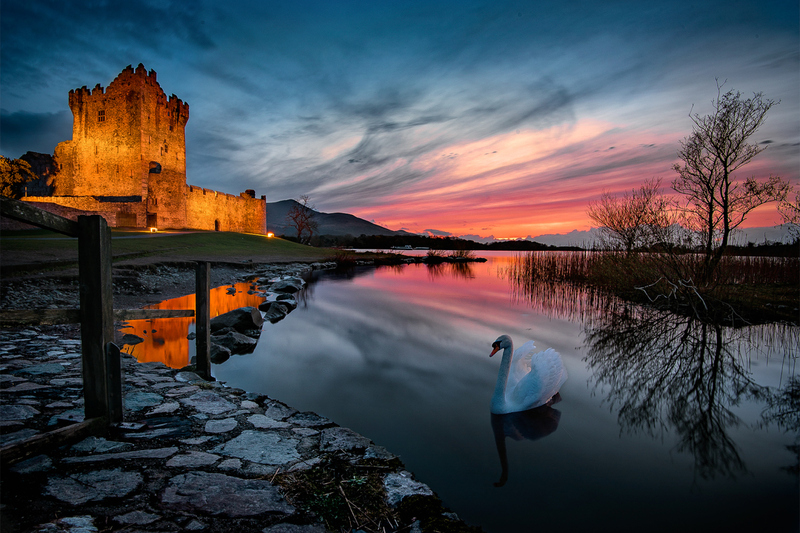 CIE Tours‘ Winter Getaway: Killarney itinerary has plenty to offer couples who seek the convenience of a smaller guided vacation (24 guests only) with an expert tour director and luxury coach. They’ll enjoy four nights and five days exploring sites from the Dingle Peninsula to the spectacular Cliffs of Moher and Blarney Castle, a distiller’s apprentice experience at Celtic Whiskey Bar, a ferry ride across the River Shannon, Irish coffee at Moriarty’s Pub, tea and scones at Bunratty Castle, and a night out at an authentic pub dating back to the 1620s. Land-only tour rates start at $790 per person; air-inclusive tours are also available. Book online or call 800-243-8687. It’s a log cabin getaway gone luxe: Tucked into the woodlands above Lake Placid, New York, the Whiteface Lodge is a natural for romance, with in-suite cast-iron fireplaces creating a cozy retreat from the snow-blanketed winter wonderland outside. The Rustic Romance getaway package includes a one-bedroom suite for two or three nights, chocolate-dipped strawberries and Champagne on arrival, a relaxing Tandem Massage in the award-winning spa, and full breakfast daily in the Kanu Great Room. Complimentary resort amenities and activities like nightly s’mores, ice skating, and access to the spa’s hot tubs, steam rooms, and saunas, add to the potential for romance. Package rates start at $511. Reserve online or call 888-582-0505. Couples are fêted with bubbly and more bubbly at Florida’s all-suite Palm Beach Marriott Singer Island Beach Resort & Spa. The Ultimate Romance package begins with Champagne and chocolate-covered strawberries on arrival, then continues with a 50-minute couple’s massage, complete with more Champagne, at the ocean-inspired SiSpa. A $50 dining credit and one complimentary in-room movie make planning date night easy, and lovebirds can linger the next morning over breakfast for two at 3800 Ocean thanks to a late check-out of 12 noon. Beyond the package amenities, couples will find plenty of opportunities for romance at the resort, from serviced cabanas for poolside privacy to outdoor firepits for a breezy evening under the stars. Rates start at $839 per night; make reservations online or call 561-340-1700. From its mountain perch above the Sonoran Desert, Sanctuary on Camelback Mountain Resort & Spa elevates a weekend getaway for two with its Romance in Paradise package. A rose petal turndown takes the traditional in-room chocolate-dipped strawberries and Champagne up a notch. Couples also enjoy a romantic dinner for two at the resort’s signature restaurant, elements, complete with panoramic Paradise Valley views, and one night of goose-down feather-bed luxury in their choice of a Mountain Casita, Mountain Suite, Spa Casita or Spa Suite. (Insider’s tip: choose the Spa Suite and gain a private outdoor soaking tub for two!) For the ultimate add-on, couples can book a massage for two in Sanctuary Spa’s Sanctum outdoor couples’ suite or learn the art of massage together with a Massage 101 session — a gift that keeps on giving long after couples return home. Book online or call 855-245-2051. 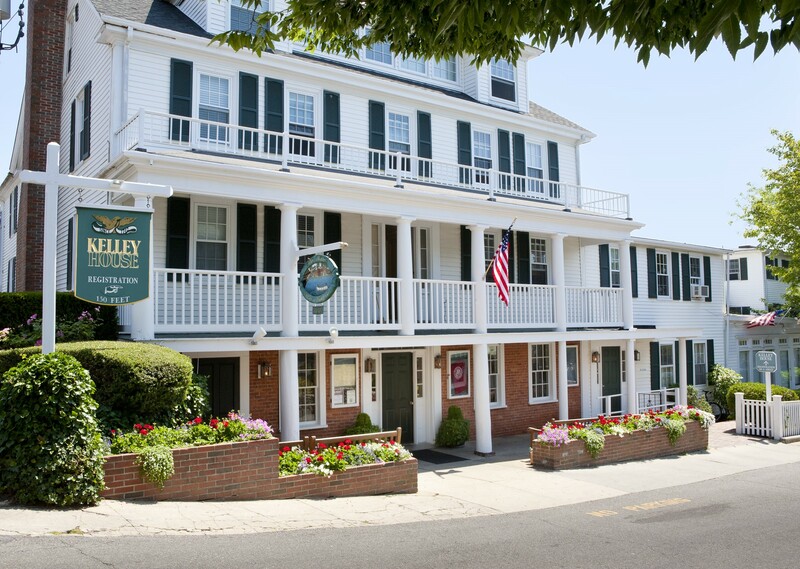 Soulmates can get their happily-ever-after off to a hassle-free start at the historic Kelley House, which has been welcoming guests on Martha’s Vineyard since 1742. The intimate inn, newly reimagined as a stylish boutique hotel, offers an Elopement Package that includes everything couples need for their Vineyard vows, from choice of ceremony location to arranging for an officiant, bouquet and boutonniere, photography, a three-course dinner for two and, of course, overnight accommodations. Learn more online or call 508-627-7900. Just steps from Kelley House, its younger sister Harbor View Hotel (at a mere 127 years old) is courting couples with an Anniversary Package that pulls out all the stops on a romantic milestone celebration. 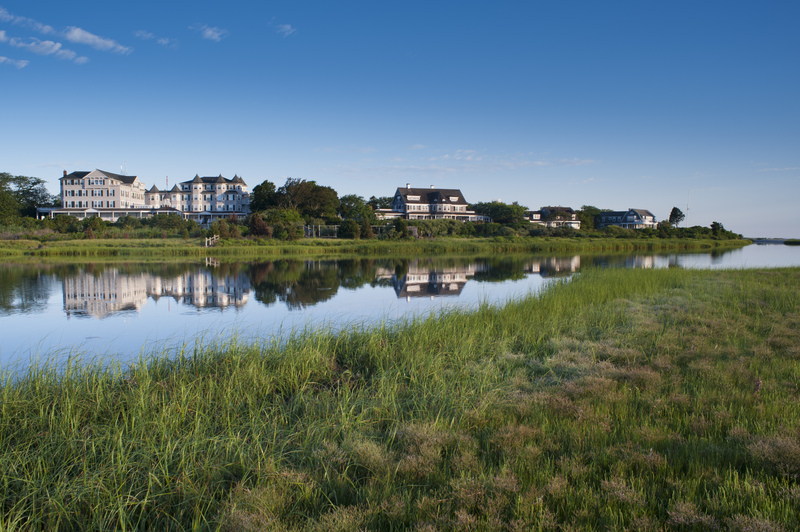 It includes a two-night stay at this Martha’s Vineyard icon, a half-dozen long-stemmed roses, sparking wine and chocolate-covered strawberries in room, and a 30-minute photo shoot with a local photographer for a keepsake portrait couples will treasure. Book online or call 508-627-7000. Let the glamour of a bygone era inspire a modern-day romance for the ages at Marriott Syracuse Downtown, located in the heart of downtown Syracuse – a city in renaissance with a thriving arts and culture scene, museums and historic sites, all within an easy stroll. The meticulously restored hotel offers the perfect blend of stylish, modern accommodations and historic public spaces that evoke the landmark building’s 1920s heyday. The hotel’s wine-focused signature restaurant, Eleven Waters, is the centerpiece of the Eleven Waters Day and Night Package, which includes buffet breakfast for two and a $50 food and beverage dinner credit. Reserve online or call 844-782-9797. Lovebirds can nest in complete privacy with a luxury home rental from InvitedHome’s exceptional portfolio. Among the perfect choices for a romantic retreat, Above it All is a hillside aerie in idyllic Santa Barbara, California, just 10 minutes from downtown attractions. The art-filled home is furnished with vintage pieces by Bertoia, van der Roche and Neutra. Glass walls and automatic shades provide an en plein air ambience, while a pool, hot tub and firepit on the outdoor patio set the mood for romance. Rates start at $749 per night. 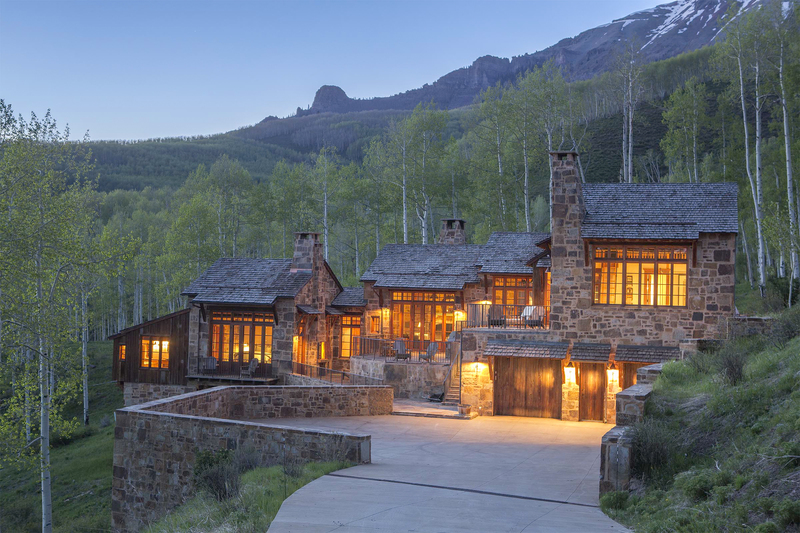 And for sweethearts who seek to combine a romantic escape with the camaraderie of friends, the expansive, Basque-inspired Villa Mendia in Telluride, Colorado delivers with its off-the-beaten path woodland setting, common spaces designed for entertaining, a jetted soaking tub and coal-fired sauna, four separate bedrooms, and a multitude of outdoor patios and decks with sweeping views as ideal for friendly gatherings as they are for a quiet cocktail for two under the stars. Nightly rates start at $599. Make reservations online or call 866-600-8075. California-bound couples will find a sweetheart of a Valentine’s deal at Embassy Suites by Hilton Monterey Bay – Seaside, just two short blocks from the Pacific Ocean and close to attractions like the world-famous Monterey Aquarium, Cannery Row and Fisherman’s Wharf. Available Feb. 9-17, the Sweetheart Package includes a bottle of Champagne and triple chocolate mousse in-suite upon arrival and a cooked-to-order breakfast for two. All guests also enjoy a complimentary evening reception each night in the hotel’s open-air atrium, whose breezy coastal California style is the result of a recent multi-million-dollar hotel-wide refresh. 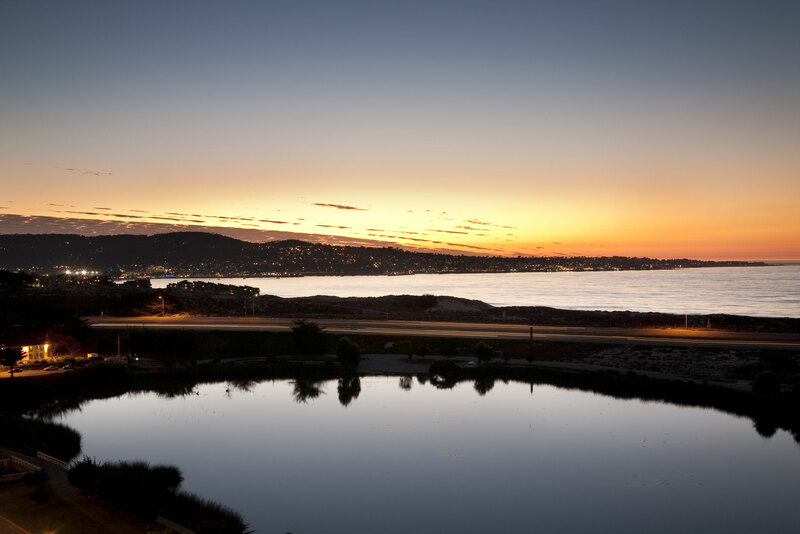 Book the Presidential Suite for a killer sunset-over-the-ocean view. Package rates start at $239. Make reservations online or call 831-393-1115. High society dining. A romantic toast. Big city love. 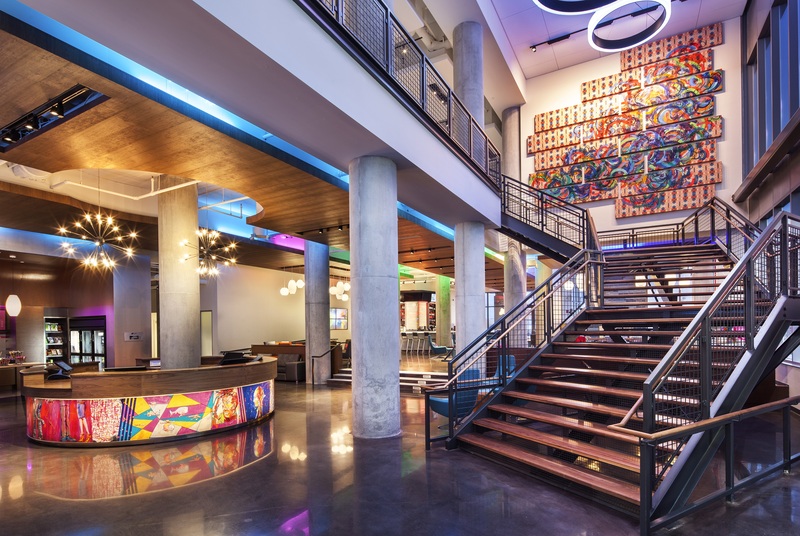 Mix it up and infuse the ultimate romance into your Valentine’s Day celebration with an urban escape to Boston’s thriving Seaport District at The Aloft Boston Seaport. Located within steps of the Seaport’s hottest new restaurants and museums, the hotel is offering a chic Sip & Smooch package perfect for the most in-love couples. The Sip & Smooch package includes accommodations for two at the Aloft, an included three-course dinner for two at new The Social Register restaurant, and two champagne splits with chocolate covered strawberries. Book online or call 866-716-8143 and mention rate plan LZPKG1.